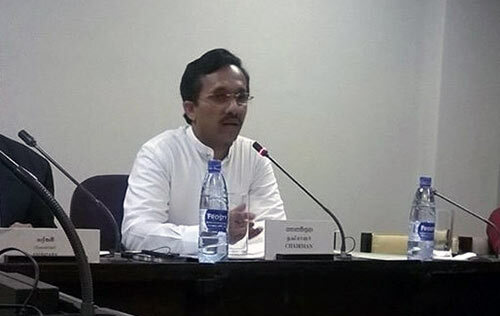 JVP Parliamentarian Sunil Handunnetti has been appointed as the Chairman of the Committee on Public Enterprises (COPE). This is the third time that the JVP MP has been appointed to head the COPE. Ada Derana reporter said that the members of the committee reached a unanimous decision to appoint Handunnetti as the Chairman. The committee is comprised of 16 members and also includes Rauff Hakeem, Ravindra Samaraweera, Sujeewa Senasinghe, Dr Harsha De Silva, Ajith P. Perera, Wasantha Aluwihare, Ranjan Ramanayake, Ashok Abeysinghe, Anura Priyadharshana Yapa, Lakshman Senewiratne, Chandrasiri Gajadeera, Mahindananda Aluthgamage, Dayasiri Jayasekara, Mavai S. Senathirajah and Jayantha Samaraweera.